In a city starved for space, large apartments with unrestricted sea views are a luxury for a few. The Sanghvi Parrsssva Group of Companies, one of the most respected names in Indian real estate, has announced the commencement of one such project, offering South Mumbai’s most sought-after homes. 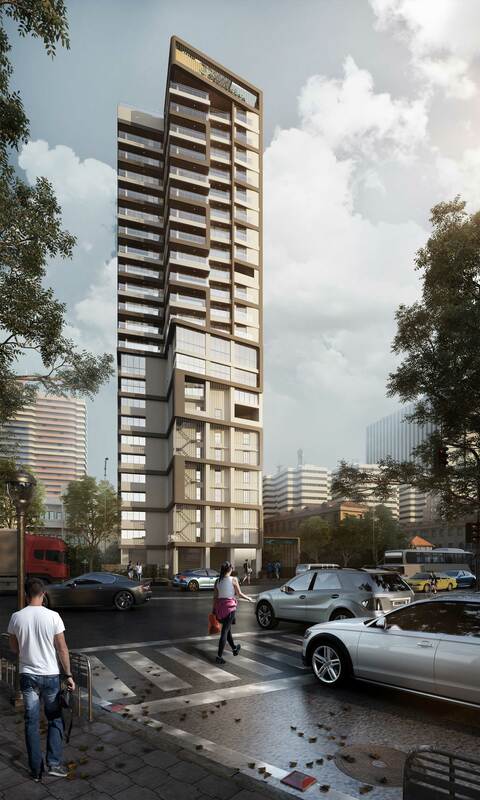 ExcellenSea will be a 22-storey luxury tower with exclusive homes and commercial spaces like no other. The announcement came on April 12th, when the Sanghvi Parrsssva Group celebrated its first new brand launch. Although the Sanghvi Group of Companies was established in 1983, the Sanghvi Parrsssva brand was launched on 12th April 2018 as a forward-looking company that creates lifestyle communities of the future. 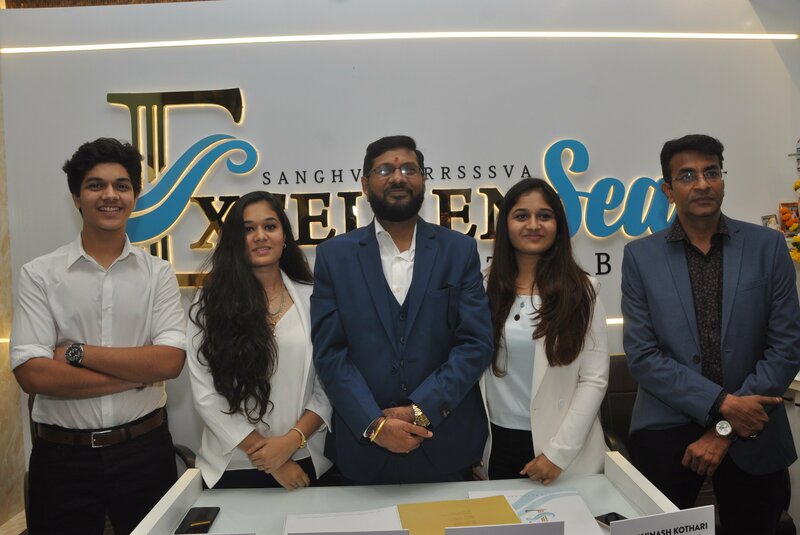 Having completed many prestigious projects in the past year, Sanghvi Parrsssva celebrated the milestone with the announcement of ExcellenSea, one of its most exalted developments. Right in the heart of Charni Road, on the prestigious Raja Ram Mohan Roy Marg, ExcellenSea will change the geography of the area. It will not only offer select 3 BHK sea-view apartments but also equally attractive commercial spaces. ExcellenSea comes with a state-of-the-art gymnasium and a stunning swimming pool on the terrace, complete with a beautiful landscaped deck. Private residences will be from 11th floor through till the 21st, which handpicked lucky families will have the luxury of calling home. Located in one of South Mumbai’s most enviable neighbourhoods, ExcellenSea is within a comfortable walking distance of Saifee Hospital, Raja Ram Mohan Roy Hospital, Charni Road Station, Hinduja College of Commerce and the iconic Marine Drive Queens Necklace. The Sanghvi Group of Companies has successfully delivered over 72 projects in the last 35 years. More than 18,000 families call it home, trusting their life’s dreams and income with the Group’s projects. For its consistent clean record, powered by modern ideas and execution, the Sanghvi Parrsssva Group of Companies was bestowed with the prestigious award “Best Affordable Housing Project, 2017” for Sanghvi Golden City at the 32nd National Real Estate Annual Awards & Iconic Commercial Project – Western Mumbai awarded to Sanghvi Jewel in 2018 from honorable Chief Minister of Maharashtra, Shri Devendra Fadanavis. With ExcellenSea, the Sanghvi Parrsssva Group of Companies spreads its wings deeper into South Mumbai after leaving an indelible in ink throughout Maharashtra with landmark projects in Mumbai & it’s outskirts. So, if you’ve been always dreaming of a sea-facing home that offered unrestricted views along with the perfect lifestyle, ExcellenSea is the place for you. Grab that phone and set up a private consultation with the Sanghvi Parrsssva Group of Companies today. You know you’re unlikely to get this opportunity again!